The base could act as a springboard to Mars. While American and Russian political relations could hardly be made colder, space relations are far more cordial. NASA uses Russia’s Baikonour facility, and the ISS remains a symbol of international cooperation. But with the ISS nearing its retirement in 2024, this cozy outer space relationship may end up soured by those on Earth. But not if the engineers themselves have anything to say about it. An ISS research and development conference in San Diego conducted from July 12-14 included plans for American and Russian cooperation, including a joint mission to the moon. While this represents no formal agreement on cooperation, industry engineers from both sides looked at the technical perspective of such a project. Their conclusion: cooperation is definitely needed. One of the mission strategies that seems to be gaining traction is a multinational habitat in the vicinity of the Moon, in cislunar space. What makes this more exiting is that while such a facility would foster studies on the Moon, it could also be a springboard to Mars. Cooperation will definitely be needed in such a facility. The Russians have a better grip on the nuances of development and operation of space modules that can house crews and provide propulsion for years at a time. 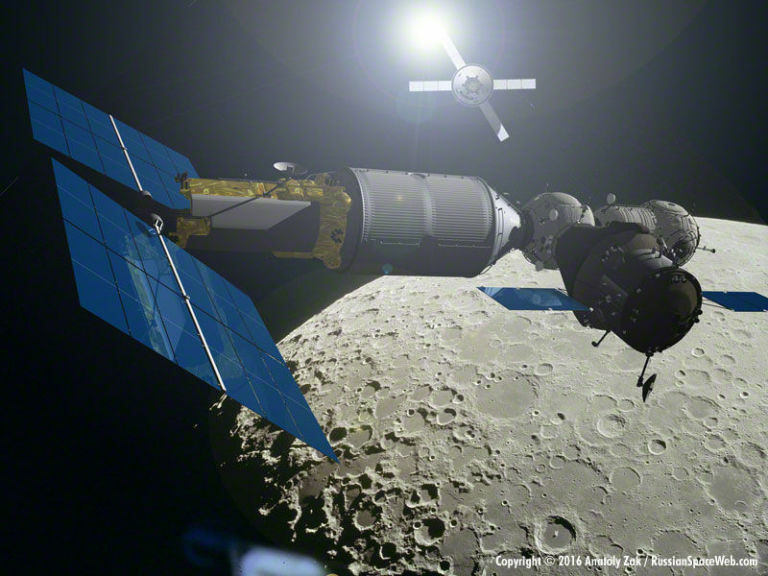 It turns out, the Russians could give their input on the Orion module, the space module NASA is developing. For their part, NASA is developing the super-heavy Space Launch System (SLS), which is key in getting the Russian hardware off the ground. Russian space agency Roskosmos has hardware that could be adapted for such a facility, such as the all-in-one module that has power, propulsion, and large living quarters for the crew. But they will need SLS to get it there. Once there, astronauts and cosmonauts could land rovers in the moon or even study asteroids. But the most likely mission would be training on the lunar surface for an eventual Mars expedition. “Don’t think of it as a space station around the Moon. Think of it as the beginning of the Mars transit system.” says NASA’s William Gerstenmaier to Popular Mechanics.